Lovely, i love this, and been meaning to make some myself. Thanks for sharing this recipe. Guess greasing is not enough dear.. Pls add some more cooking spray/ oil and try. Was the batter thick? 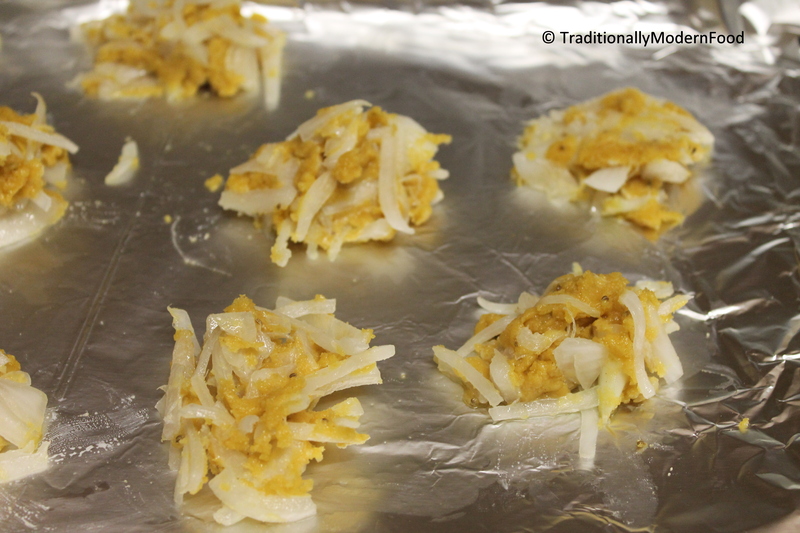 OMG… I love love pakoras. But scared to fry them. Let me see if I can make them this weekend. oh man, they look positively addicting! Delicious! What a great recipe. I love that these are baked. Lovely recipe dear! Look so crunchy and tempting! How exciting! 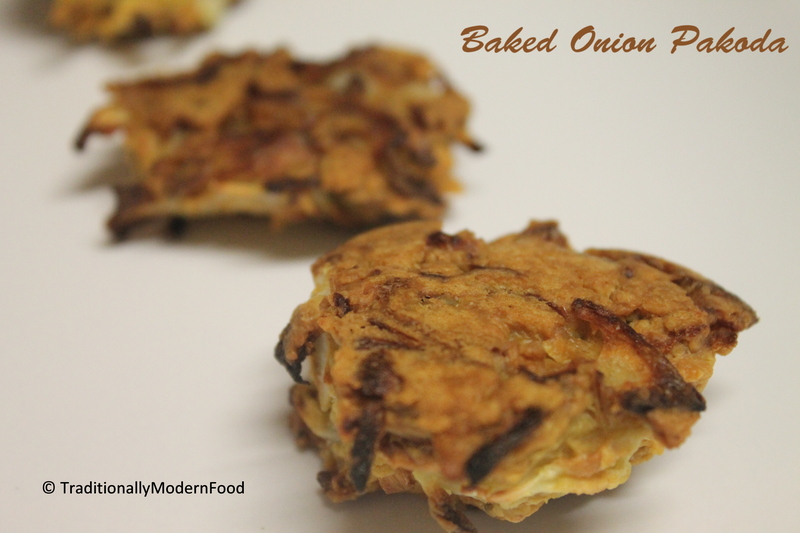 Gluten free and baked onion Pakoda. My daughter is experimenting with a gluten-free diet and finding that she likes it. I know she will appreciate this recipe. Can you beat that? Amazing :). You are making it easy peasy to indulge. I prefer baking to deep frying anytime. 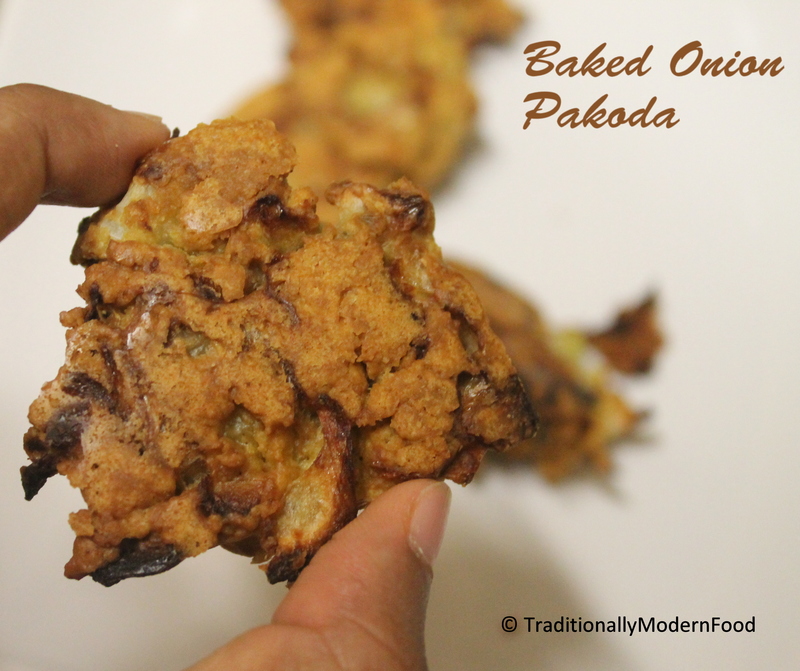 Your pakoda looks delicious and healthy without the addition of all that oil. These onion pakodas look so crispy. beautiful pics! 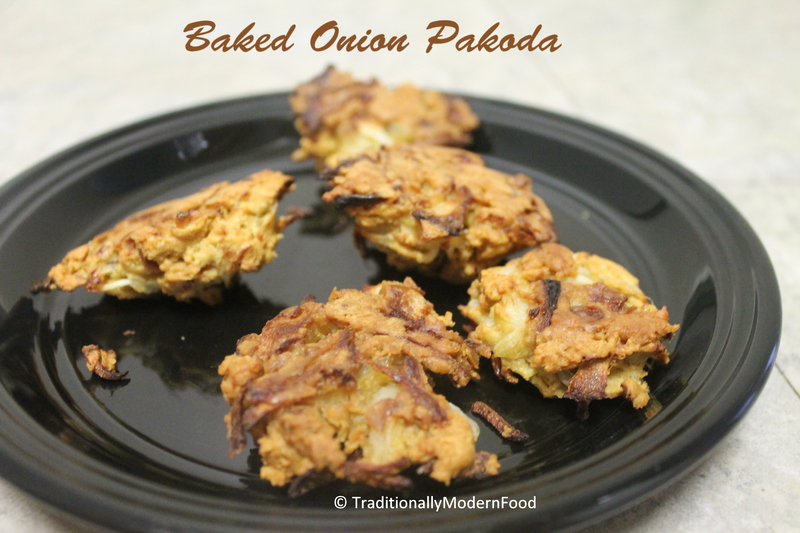 Healthy pakoda looks awesome vidya just loving it…. Vidya, I have no idea what these are but I know I want some!!! They sound awesome! I loved it Shruti.. :-)Your pic tempted me a lot and hence tried.. Yes they where crisp. I didn’t feel difference between deep fried and baked one..